NJTV - Public Media NJ Inc. Screening event at Grace Performance Hall in Haddonfield on August 22 at 6:30pm includes panel discussion prior to the series roll-out online and on-air. The public is invited to a sneak-peek screening of the documentary series followed by a panel discussion on Wednesday, August 22nd at 6:30pm at Grace Performance Hall in Haddonfield moderated by NJTV News Correspondent Briana Vannozzi. The panel discussion will feature some of the series participants, including Sonya Jacobs, IHOC program coordinator and Bill Lowery, an IHOC program graduate, with others to be announced. Screening attendees must RSVP for admission. Seating is limited. Confirmations will be made on a first-come basis. Click here for the event invite and to RSVP. Filmed over six months, Getting Off the Streets shadows four men in the IHOC program, telling their life stories that brought them to the point of homelessness. Some fell upon hard times after family tragedy. Some are battling drug and alcohol addiction. Some have criminal records. Viewers experience their triumphs and their setbacks as they struggle to turn their lives around through counseling and tough love treatment that means no drugs, no alcohol, and no contact with family or friends. 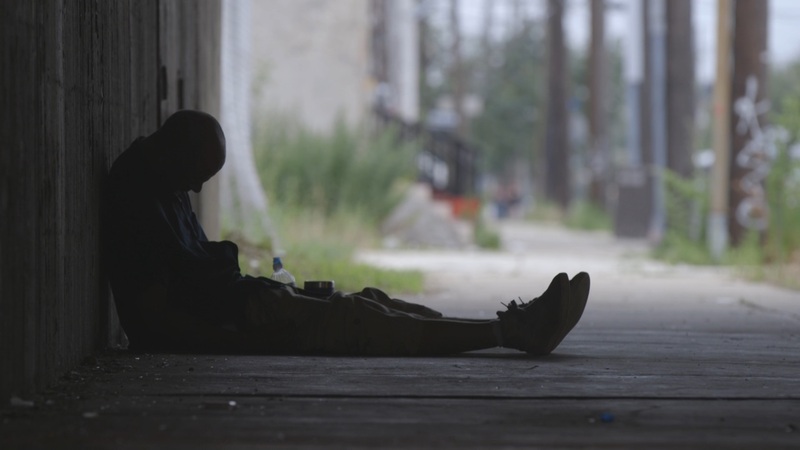 This series, which films in locations across southern New Jersey from Camden to Collingswood to Cherry Hill, paints an intimate portrait of the fight to get off the streets from the perspectives of those struggling and those trying to help them find their way to a better life. Getting Off the Streets will stream as a digital series in late August and air as segments on NJTV News with Mary Alice Williams in September. A broadcast documentary special will follow on NJTV, THIRTEEN and WLIW. 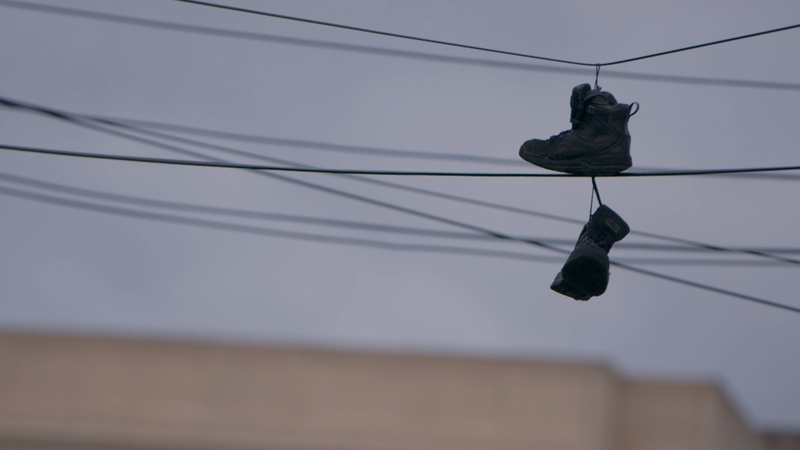 Follow the Chasing the Dream: Getting Off the Streets series online at http://www.pbs.org/wnet/chasing-the-dream/ and on social media @chasingthedream. Major Funding for Chasing the Dream is provided by The JPB Foundation. Additional Funding is provided by the Ford Foundation. Geraldine Moriba is Executive Producer of Getting Off the Streets; Ed Hersh is Senior Programming Consultant; Jamila Paksima is Producer; Ben Kalina and Jacob Hopkins are Editors; Maya Navon is Associate Producer; and Nina Joung is Digital and Social Media Assistant Producer. 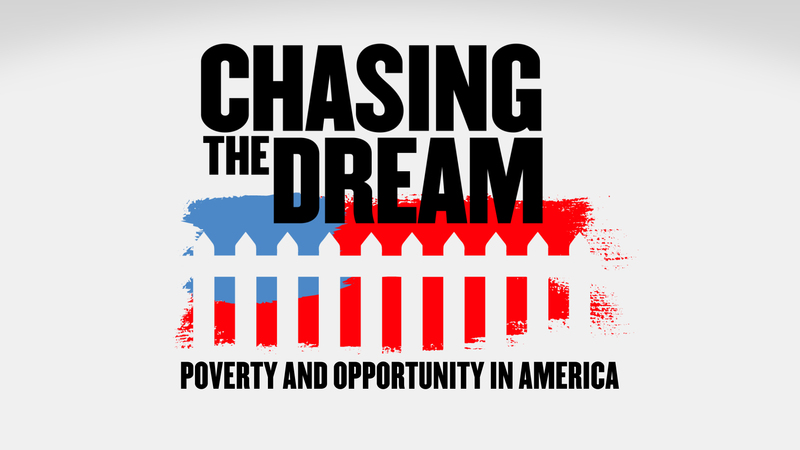 Chasing the Dream is WNET's multi-platform public media initiative on poverty and opportunity in America. It aims to provide a deeper understanding of the impact of poverty on American society: what life is like below the poverty line and for the working poor, its impact on our economic security, and what has happened to our age-old dream of striving for a better life. We also highlight solutions: what has worked - and what is working to bring people out of poverty - and what lessons we can and must learn for the future. Chasing the Dream reports can be found online and on-air on PBS NewsHour, NewsHour Weekend, MetroFocus, NJTV News, and Long Island Business Report. Learn more at www.pbs.org/chasingthedream. Join the conversation on Twitter, Facebook, and Instagram. NJTV, New Jersey's public television network, brings quality arts, education and public affairs programming to all 21 counties in New Jersey and its tri-state neighbors. NJTV presents PBS series such as Nature, Antiques Roadshow, Victoria, Daniel Tiger's Neighborhood and Curious George as well as diverse local programs diverse local programs including On the Record with Michael Aron, Driving Jersey/Here's the Story, NJDocs,Due Process,One-on-One with Steve Adubato,Classroom Close-Up NJ and State of the Arts. The network's flagship news broadcast, NJTV News with Mary Alice Williams, features stories from across the Garden State. NJTV, headquartered at the Agnes Varis NJTV Studio in Newark, with additional studio space at New Jersey City University and remote cameras at university content bureaus across the state, strives to engage the community and increase public awareness of critical local issues. Its community outreach initiatives include In Your Neighborhood, which combines live on-location broadcasts, special programming and community engagement events to spotlight some of New Jersey's most dynamic places and Healthy NJ: New Jersey's Drug Addiction Crisis, combining community forums, news reporting and a resource-driven website to help combat the state's heroin and opioid overdose crisis. The NJTV website offers online programs and free digital resources for educators.